Connect Your Conscious Mind and Subconscious Mind Power to Use the Law of Attraction For You! "Get Your Hands On This Incredible Book & Audio System The 40 Day Master System That Can Change Your Life & Help You Reach Your Potential, In Only 40 Days!" Release Your Subconscious Mind Power and Work the Law of Attraction in Your Favor Effortlessly! Using this system, you can begin to tap into powers of your mind that you never knew were possible. Yes, it True! Just like the main character in the movie Limitless, only you don't have to pop any pills to achieve your True Hidden Potential. The key is in connecting your conscious mind and subconscious mind. 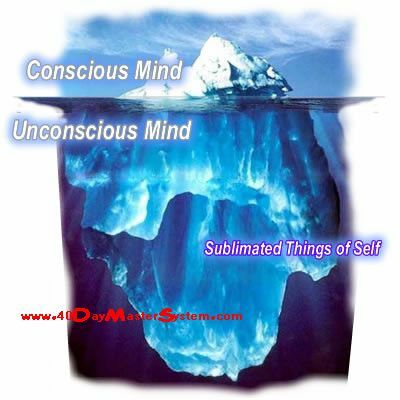 Your conscious and subconscious mind power is simply beyond belief. I guarantee that you have untold of abilities and potential that regardless of where you are in life, is just waiting beneath the surface to surprise you with the incredible things that you WILL accomplish. How is reading a book and listening to audio going to help me reach my full potential? It works because it releases potential that is already there! Using The 40 Day Master System helps you tap into your mind powers that lie dormant. The book is a straight forward, easy read that helps you understand how this system works. The audio portion uses neuro linguistic programming (NLP) techniques that speak directly to your subconscious mind. The audio program uses affirmation messages, subliminal and apparent, that work to unite your conscious mind and subconscious mind towards the task of utilizing a higher percentage of your mind powers. The subconscious mind is responsible for nearly 90% of all our mind's daily functions. This is where the myth that we only use 10% of our brain comes from. We actually use our entire brain but 90% of these activities are carried out on auto pilot in a part of our mind called the subconscious. Complex activities such as maintaining your heart functions and your respiratory system are carried out completely on auto pilot! At your disposal lies an inconceivable amount of power. Mind over matter is not just a saying, but a reality. The subconscious mind power is what controls over 76 trillion cells within your body and keeps your hair and nails growing without your conscious mind doing anything. The Power Within you is simply incredible. The 40 Day Master System is designed to help you release this incredible power by aligning your conscious and subconscious mind. Just like this picture of an iceberg, there is more to you than meets the eye. The power within, your subconscious mind power, is far greater than what is visible on the surface. Guess what! You can begin to use this incredible subconscious mind power that your mind uses to perform amazingly complex activities without you even knowing to maximize your own potential and achieve feats you thought impossible! 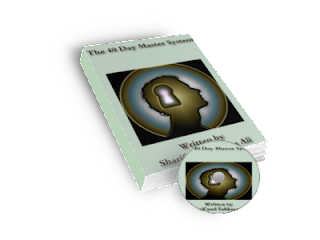 The 40 Day Master System works hard in your favor to help you naturally begin tapping into your conscious and subconscious mind power. Hey, Don't Believe Me! Listen To What Others Have Said! These Are Some Awesome Testimonials From Our Satisfied Customers! 1. I attracted the biggest speaking opportunity of my writing career. I was invited to speak at BlogHer, the largest conference in the world for women in social media, and home of one of the most popular women’s blogging networks. 2. I attracted all of the talented writers and creative assistance that I needed for the orgasms issue of Corset Magazine, cutting my costs and putting me on the road to recoup my original investment in the publication (going for the “black” and getting out of the “red” in this issue!). 3. I attracted more advertisers for the orgasms issue of Corset Magazine, better freelance writing opportunities, and more clients, increasing my income. 4. I attracted a seamless transition from leaving Rio de Janeiro, traveling to Alto Paraiso, and managing to live quite well on a budget. 5. I attracted more love in my relationships, strengthening the connections with the men I’m dating and helping me learn more and more each day. 6. I attracted more confidence in my service offerings, writing, and entrepreneurial ventures. 7. I attracted extreme focus. It takes nothing but pure concentration to consistently say affirmations for 40 days and journal. But the discipline is infectious, and has led me to do more meditations and affirmations daily, even though my 40 days are over. If you need help concentrating on any aspect of your life, including career, love, family, or health, you should download the 40 Day Master System. It teaches you discipline, which is essential in any walk of life, and puts you on the path to manifest your greatest aspirations. Not only have I felt an increase in my self-esteem and confidence, I’ve also recognized that I am capable of creating whatever type of life that I want with the right focus, hard work, and intention. Its already been bringing some laughs and smiles of enlightenment here and there to the inner child that still resides in me and will always be. Indeed! I actually did end up finish reading the book and plan on starting today. A lot of the things that were said really got to me and I know slowly but surely things will start manifesting in the manner that I wish for them to be conducted as long as I keep up and practice this for my next 40 possibly even more days. The audios are pretty amazing as well! I plan to just be able to recite them without even having to hear them through a windows media player eventually. This maybe the missing peace in my journey. I've read the book and have started the 40-day program. I'm really grateful for this. Thank you. I'm on my third day and I think I'm already experiencing something. I got one of those dream inspirations earlier, so I'm positive something is working. Have you had any reports of waking up in Theta or Delta from anyone else? Also by the way, whatever you did to put this Master System together is really working. I've studied a lot of mind science along with Binaural Beats and etc, whatever you guys are doing keep it up. This stuff is working pretty well. I have experienced some tremendous benefits and success with it. It was right on target. I've read a lot of things... You're really breaking it down. What you're saying is the truth and so I would really highly recommend it! I like how you're using the messages subliminal. You're giving us the knowledge and information and then using the other part of it too, tapping into our power source...! 2012 is full of excitement, opportunity, and adventure! I am personally beginning to reap of the seeds that I have sown in the past year. This is a great tool to release your power. Mind over matter is not just a saying. I appreciate Sharif and Sakkara Ali for the 40 Day Master System which has been a super helpful instrument in my life! I got the 40 Day master system a few weeks ago and it is lovely. Great gift. Thanks for sharing. Peace. N. P.
and you shall have whatever you desire!!! Please keep us updated. ‎@ Sharif 40days !!!!!!!!!!!!!!!!!!!!!!!!!!!!!!!!!!!!!!!!!!!!!! It's working Its's working! We are soo happy for you. Stay Focused! You are literally creating your reality!!! Peace RaMan Judah how are you doing on the Master System? ‎...I can't begin to tell you... the system is the bomb as the young ones say. This is day 6 for me and I can feel the transformation. It is as if the voice of God reminds you of your goal if you lose focus. In addition, there has been tremendous clarity in my vision of my work as well. I have been getting much wisdom since initiating the system. It is all encompassing, is probably the best way to put it. There is a fine tuning going on within... You feel it almost from the beginning. I am definitely plugging your program into my video productions for the future. As a martial artist (taught martial arts for years), I know the fortification is in the journey, not the goal. Completeness is the goal. I am fully beginning to understand that the universal creative thought within me is the source of my SUPPLY. Get The 40 Day Master System For Only $19.95! Listen to This video to Gain More Insight on How The 40 Day Master System Works! 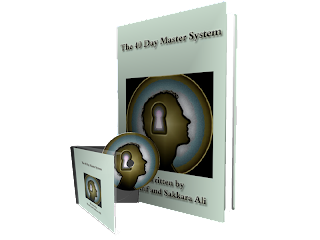 Increase Wealth, Health, and Prosperity in Your Life | 40 Day Master System from Sakkara Ali on Vimeo. We Give You The "Missing Key" Necessary To Go To The Next Level & Use The Law of Attraction To Your Benefit! Great Value! Ebook Alone Worth $45! Complete With Audio $75 Value! No Other Product Tells You How To Tap Into Your Potential & Gives You The Tools To Do It! 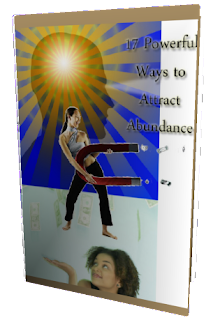 BONUS Book Included 17 Powerful Ways to Attract Abundance! BONUS Audiobook version included! Just in case you do not have time to read the book you can listen to the Audiobook version in less than 50 minutes! The entire system is portable for you to transfer to your mobile devices so you are not confined to your computer. Connect Your Conscious Mind and Subconscious Mind To Release Your Mind Powers! If You Want More Out Of Life, Whether It's Money, Love, Health, Success Or Happiness, Look No Further! 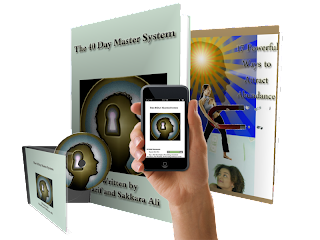 Use The 40 Day Master System To Reach Your Full Potential, Connect Your Conscious Mind and Subconscious Mind, Tap Into Your Conscious and Subconscious Mind Power, And Change Your Life! This is The Secret to Working The Law of Attraction in Your Favor. What is the One Thing that separates people who are successful from people who go through life unfulfilled? The ability to FOCUS and tap into hidden strength that many people are unaware that they have (Hidden Mind Powers). Most people who experience tremendous amounts of success admit that they surprised themselves with the things they have been able to accomplish. Deep within you lies the ability to succeed at whatever endeavor you wish to experience prosperity. Your conscious and subconscious mind power is always there and ready to serve you. It does not matter how old, young, rich, poor, healthy, sick, or disenfranchised you may feel. The power lies within you to turn your life around and accomplish great things! 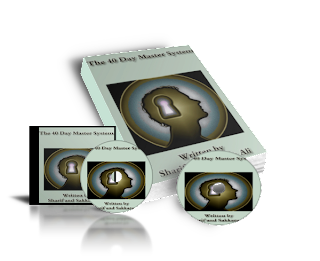 The 40 Day Master System was created to help you connect your conscious mind and subconscious mind. Let’s imagine that your body is a ship (could be a spaceship or boat). Believe it or not but your conscious mind is actually the captain of the ship. Your subconscious mind is the crew. It handles all the functions of your body including the overseeing of over 76 trillion cells and your major organs so that your conscious mind can focus on steering the ship (your body) in the right direction. When you feel happy, sad, sick, worried, or any other emotion your conscious mind and subconscious mind are communicating. You are unknowingly telling your subconscious mind what direction you want to navigate the ship (your body) towards. This is why it can be so difficult to keep weight off if you are able to shed some pounds, experience financial prosperity if you are used to barely getting by, and many other situations that you may want to improve in your life. If you do not realize the power that you weld you will continue to unintentionally steer yourself towards disaster. This is why it is so IMPORTANT To STOP unwittingly setting yourself up for failure! The 40 Day Master System can help you NOW! If you need to reprogram the direction your life is headed in Take Action Now and Download This Program. This system uses a concise, efficient method to help you connect your conscious mind and subconscious mind (remember that is like the captain and crew of the ship/your body) to achieve your desires. This can help you tap into your subconscious mind power and put the power within you to work towards your highest benefit. There is Absolutely NO Reason to wait any longer to receive the abundance of health, wealth, and happiness that we know you deserve! Convenient. A personal download link is created for you as soon as your purchase is processed. You can easily apply this system from your computer, burn to cd, or transfer to your mobile device and take it everywhere you go. We also have the audiobook version so that you can listen to the book at your leisure. Simple & Straightforward. The book is to the point and does not waste time explaining unnecessary topics. Everything is included to help you tap into your subconscious mind power and bring about your success. Practical. This system can be applied anywhere and it is not difficult to complete. The information and audio system is useful, realistic, and simple to apply. Complete. The 40 Day Master System can help you connect your conscious mind and subconscious mind so that you are no longer unknowingly programming yourself for defeat. This system walks you through the process for 40 days to help place you in a position to realize your highest potential. You will not have to wait for this package to be mailed to your residential address. You do not have to be concerned whether or not this is some mail-order scam that’s going to leave you with a pack of garbage that you’ll have to stand in line at the post office with so you can send it back to the scamming company. These secret techniques have been converted to digital format, and the great thing about anything in digital format is that their delivery is made convenient and instantaneous. So you can have IMMEDIATE ACCESS to these secrets, and all it takes is a few clicks of the mouse. Simply click the button below to order. The 40 Day Master System alone is worth more than the $19.95 price! Not only does this system contain solid and practical knowledge that can help you achieve your highest potential but it also contains an audio portion that uses neuro-linguistic programming to help walk you through the process! As if that wasn’t enough we also include the audiobook so that you have absolutely no excuse to fail to succeed at whatever you desire! You can listen to the audiobook version and then get started with the audio part of the system just in case you don’t like to read or do not have time to read the ebook. As if that was not enough to help you tap your conscious and subconscious mind power and start realizing your hidden potential we are also including the helpful booklet 17 Powerful Ways to Attract Abundance! We absolutely want you to succeed and share your success story with us! Just Click the “Buy Now” button below to Instantly Purchase Everything Now. What if I Can’t Succeed? You are not the exception! Everyone has this incredible power within them to accomplish great things. All you have to do is connect within and you will be able to succeed at whatever you desire. This system was created to help you do exactly that. We included everything because we want to see you succeed! Price: $19.95. The 40 Day Master System's price will certainly rise soon frankly because I am offering invaluable information as well as vital tools to help you achieve success for only a few dollars. The price may bypass $50 in a short time span. The secrets to achieving success and releasing your subconscious mind power as well as tools to help you accomplish this task are included in this system which makes it very challenging for me to keep it at this low price. For every book that Sharif Ali releases, new versions are always released that contain more pages and other bonuses. The new versions are always sent free of charge to those who bought the old versions. Prices of books increase with the release of new versions, so its always better to buy Sharif Ali’s books as soon as they are released. The book is in PDF format. In the book we explain how this system works and give complete instructions on how to tap into your mind's hidden potential! The audio files are recorded in the theta brainwave frequency allowing the powerful reaffirming statements to go directly to your subconscious mind. 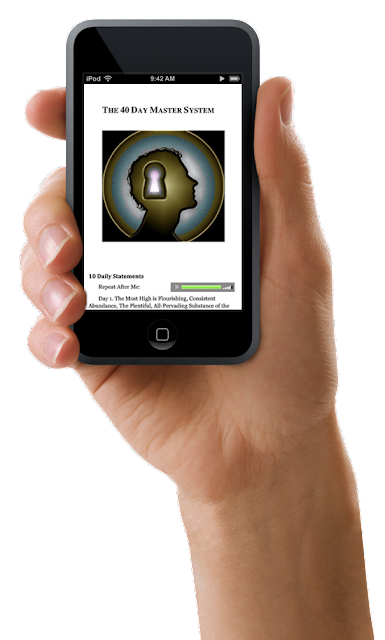 The audio works to unite your conscious mind and subconscious mind toward your self-progress. This can be done easily. All you have to do is follow the instructions along with the audio. We basically walk you through this whole process. As soon as your order is processed you will receive the link to download the file in your email. (PLEASE PROVIDE YOUR CORRECT EMAIL AT PURCHASE) You will receive this email within a few hours of your purchase. The e-book and mp3 audio is in one ZIP file. Click the download link. All you have to do is click the file and it will extract the e-book and mp3 audio files automatically. If you are using a Mac computer or smart phone just drag the file to your desktop and double click. You can also just drag the zip file icon onto the StuffitExpander.app icon.